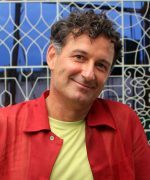 Corrado Pensa is a founding member and, together with Neva Papachristou, teacher and guide of A.Me.Co. 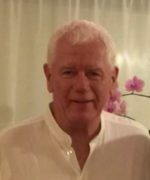 Senior Dharma teacher at the Insight Meditation Society of Barre (USA), for several years he was a professor of Religions and Philosophies of India at the University “La Sapienza” in Rome and a Jungian psychotherapist. He writes regularly for SATI, the magazine of A.Me.Co. He has published numerous texts on Buddhism and the practice of meditation of awareness (Vipassanā). With Mondadori: The Silence Between Two Waves. With Promolibri: Wise Attention, Unwise Attention. With Astrolabio Ubaldini: La tranquilla passione (The Quiet Passion); L’intelligenza Spirituale (The Spiritual Intelligence), in May 2018, together with Neva Papachristou, Affrettati Piano: Il cammino interiore e la meditazione di consapevolezza: una strada per la felicità (Make Haste Slowly: The Inner Path and the Meditation of Awareness: a Way to Happiness) and, in February 2019, always with Neva Papachristou, Dare il cuore a ciò che conta (Give the Heart to What Matters), which in 2012 was released for Mondadori. Neva Papachristou is a founding member and, together with Corrado Pensa, a guiding teacher at A.Me.Co. 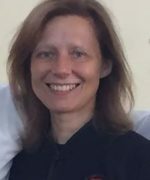 She has been studying and practicing Dharma since 1984, both with Corrado Pensa and with teachers from the Insight Meditation Society (Barre, USA) and the Cambridge Insight Meditation Center (Cambridge, USA) in Europe and the USA. 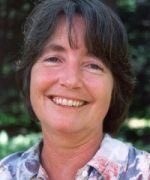 She was appointed Dharma teacher, according to the Theravāda tradition, by Larry Rosenberg, guiding teacher of the Cambridge Insight Meditation Center. She is the author of a thesis on Ajahn Sumedho. She is the editorial director of SATI, the magazine of A.Me.Co. With Astrolabio Ubaldini published, together with Corrado Pensa: in May 2018 Make Haste Slowly: The Inner Path and The Awareness Meditation: A Road to Happiness and, in February 2019, again with Corrado Pensa, Giving the Heart to What Matters. The Buddha and The Awareness Meditation, which in 2012 was released for Mondadori. Andrea Anastasio has been practicing awareness meditation since 1983. He has taken part in the retreats organized by Corrado Pensa, and other teachers of the Insight Meditation Society and Thich Nhat Hanh. He further studied the teaching of Krishnamurti and Vimala Thakar in India where he stayed for long periods on the Abu Mountain and Dalhousie on the Himalaya. He graduated in philosophy with Franco Michelini Tocci with a thesis on the Teachings of Jiddu Krishnamurti. He has translated books on Krishnamurti, Vimala Thakar and Nisargadatta Maharaj for the publisher Ubaldini and on buddhist iconography for Laterza. He lives and works in Italy and India. 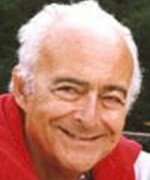 Ezra Bayda has been practicing meditation since 1970, studying first with Maezumi Roshi, and then later with Joko Beck. 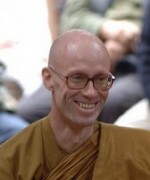 He began teaching in 1995, receiving his Dharma Transmission in 1998. His teachings are a blend of the Zen and other traditions. He has written seven books, including the award winning Being Zen, and his latest, Aging For Beginners. He now teaches at the Zen Center San Diego (www.zencentersandiego.org) with his wife and fellow Zen teacher, Elizabeth Hamilton. They also lead meditation retreats in the U.S. and abroad. Alberta Biressi has been practicing yoga since 1979 and follows the teachings of Boris Tatzky on energy yoga since 1985. 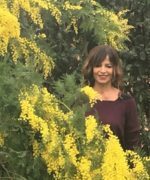 She has been teaching at the A.Me.Co for several years, as well as at the Yoga center of Casal Palocco and, at the training school for the Teaching of Yoga in Milan. Ajahn Chandapalo is a Theravāda monk according to the Ajahn Chah and Ajahn Sumedho forest tradition, as well as the abbot of the Santacittarama monastery in Frasso Sabino (RI). Debora Drigani studied Tai Chi Chuan and Qi Gong in 1991 with master Adalberto Maviglia (a disciple of Mantak Chia). In 2007 she started practicing under the guidance of masters Flavio Daniele and Guo Ming (George) Xu, with whom she subsequently studied to become Yang style instructor in 2011. She took part in the WACIMA (World Academy of Martial Arts) international campus in Lang Fang (Beijing) in 2010. During the Wacima campus, and thanks to her participation in Nei Dan stages and seminars, she increased her knowledge on Yang style Tai Chi with masters Liu Bo Xue and Wang Lian Fu. She also studied Qi Gong with master Roberto Capponi and Etsuko Kakui. She attended the TAO GED (Global Energetic Development) course for two years, led by master Flavio Daniele. She is currently a senior teacher, and one of Rome’s Nei Dan School representatives. 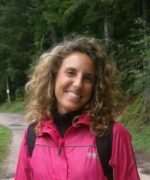 Christina Feldman is the co-founder of Gaia House. She’s being leading Dharma and Vipassanā meditation retrats all around the world since 1976. She is the guiding teacher at Gaia House, and at the Insight Meditation Society at Barre, USA. Within her bibliography, some of her books have been translated in italian: Woman Awake. A celebration of Women’s Wisdom (1990) (Donna risvegliati! L’emancipazione della donna sulla via del risveglio spirituale – 1990), Vedere. Dal Samsara al Nirvana – 1991. Stories of the Spirit, Stories of the Heart: Parables of the Spiritual Path from Around the World with Jack Kornfield (1991) (Fiabe dello spirito e del cuore. Parabole del cammino spirituale da tutto il mondo – 1994), Compassion. Listening to the cries of the world (2003) (Compassione. Ascoltare le grida del mondo – 2007), Beginner’s Guide to Buddhist Meditation: Practices for Mindful Living (2006) (Meditazione buddhista – 2009). 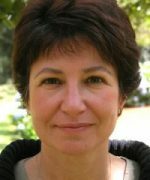 Patricia Feldman Genoud has been practicing and studying vipassanā meditation and Dzogchen for years. She practiced and studied under the guidance of Tibetan Lama Dilgo Khyentse Rimpoche. She took part in several vipassanā retreats in Myanmar and Nepal under the guidance of U Pandita Satadaw, and others in the UK and the USA under the guidance of some of the most well-known western teachers, including Joseph Goldstein. 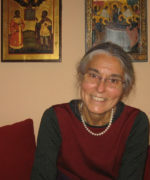 She is the co-founder and lead teacher of the Meditation Center Vimalakirti in Geneva. She teaches Dharma and meditation in Israel, USA, Switzerland, France, the UK and Italy. 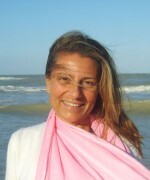 She is the author of “Le Quattro Dimore Divine” (The Four Divine Abodes), part of the A.Me.Co. booklets Series. Giuliano Giustarini practices Dharma at A.Me.Co and at Ajahn Chah traditional monasteries. He teaches Theravāda Buddhism, as well as pāli language and literature at Mahidol University in Thailand. From March the 1st to May the 31st 2017 he has been a visiting professor at La Sapienza University of Rome. Beatrice Loreti is a Law graduate, and she also has a socio-pedagogical counselling diploma from the Ateneo Salesiano in Rome. She is an actress, dancer, theater professional and corporate coach. She is an expert in communication and interpersonal relations, with special attention to body language. She practices Dance/Movement Therapy, using authentic and creative movements. Cofounder of “Due Cuori e Due Capanne? La pace è ogni passo” (“Two Hearts and Two Shacks? Peace is in every step”), aimed at searching and promoting new culture of peace and well being in couples’ relationships. She leads “relationship laboratories” for singles and couples. She works as a professional counsellor for Rome’s Ateneo Saliesiano’s Centro di Consulenza Ifrep. 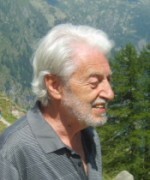 Vito Mancuso is an italian philosopher and theologian. He has worked as a professor for the Philosophy Faculty of the San Raffaele University in Milan, and for the University of Padua. His last book is Il bisogno di pensare (“The need to think”), Garzanti 2017. Amongst the other works, Hegel teologo (“Hegel the theologian”) (1996), Il dolore innocente (“Innocent pain”) (2002), Rifondazione della fede (“Refounding faith”) (2005), L’anima e il suo destino (“The soul and its destiny”) (2007), La vita autentica (“An authentic life”) (2009), Me e Dio. Una guida dei perplessi (“Me and God. A guide for the perplexed”) (2011), Obbedienza e libertà (“Obedience and freedom”) (2012), Il principio passione (“The passion principle”) (2013), Io amo. Piccola filosofia dell’amore (“I love. Pocket philosophy of love”) (2014), Questa vita (“This life”) (2015), Dio e il suo destino (“God and its destiny”) (2015), Il coraggio di essere liberi (“The courage of being free”) (2016). He wrote a book with Eugenio Scalfari, Conversazioni con Carlo Maria Martini (“A conversation with Carlo Maria Martini”). He wrote out his position in favor of faith in God to Corrado Augias and Paolo Flores D’Arcais, and discussed it live with other atheist intellectuals. A monography on his beliefs has been published in Germany (Essentials of Catholic Radicalism. 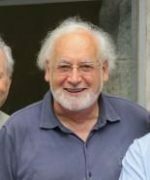 An Introduction to the Lay Theology of Vito Mancuso, Peter Lang, Frankfurt am Main 2011). His books are translated in different languages. Claudia Marss teaches jazz singing and choral singing as well as being the director and arranger for the Saint Louis College of Music’s Brasilian Music choir, and a teacher of modern singing and the Gospel Choir director for the “Officine Musicali del Borgo”. She holds seminars on different brasilian musical genres, gospel and spiritual music: focusing on vocalism, style, performance and sense of rhythm. She studied singing with Cinzia Spata, Annette Marywether, Margherita Pace, and arranging with Franco Piana. She took part in the most influential Jazz Festival in Italy, as a Brasilian Jazz solist singer. She has been performing in theaters and shows all around Italy as a gospel singer since 1996, collaborating with various groups. In october 2004 she was chosen by Nicola Piovani to be the soloist in “Stabat Mater – La Pietà”, music by Nicola Piovani, alongside Gigi Proietti, Rita Cammarano, and the Aracoeli Orchestra, staged in Bethlem and Tel Aviv. 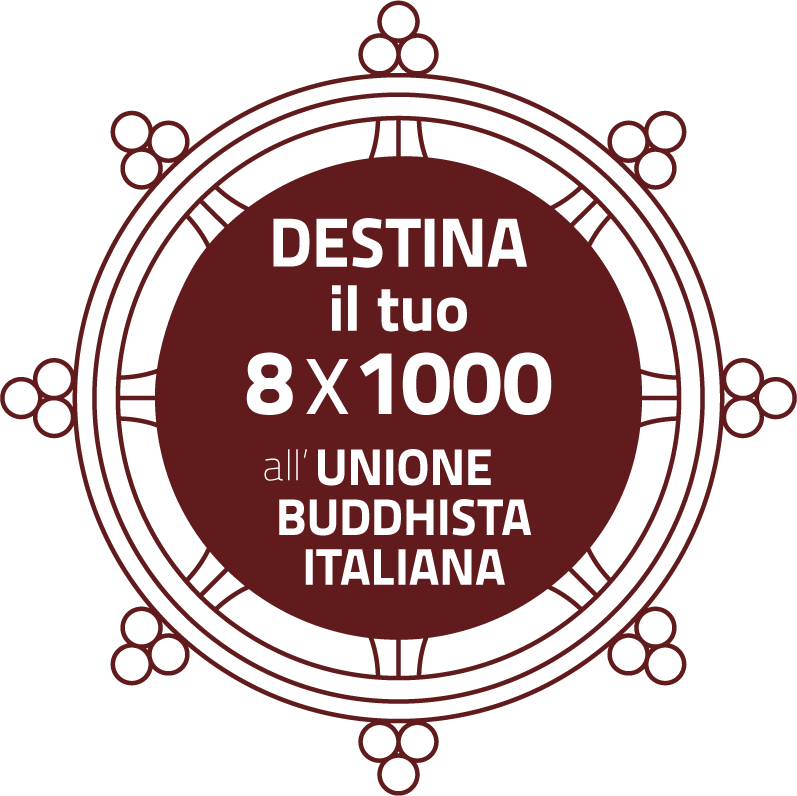 Roberto Masiani studied and practiced Dharma in Italy and abroad, as a disciple of Corrado Pensa, A. Sumedho, Thich Nhat Hanh, Sister Annabel, Ghesce Yesce Tobden, Lama Denis Tendroup, Christina Feldman, Stephen and Martine Batchelor, Diane Rizzetto, Fred Von Allmen, Michele McDonald, Steve Smith, Narayan Liebenson, Tae Hye Sunim, Carol Wilson, Maha Ghosananda, Roshi Glassman, and others. Since 2001 he’s been working on the integration between Dharma and other disciplines like Psychosynthesis, focusing, the native american medicine wheel, empathetic meditation, clown therapy. He is a Law Graduate, and has a diploma in socio-pedagogic counseling. Cofounder of “Two Hearths in Two Shacks? Peace is in every step”, that promotes a new culture of peace and well being in a couples’ relationships. Franco Michelini Tocci has been teaching History of Religions at “Ca’ Foscari” University of Venice. He has been as well a jungian psychotherapist and a Dharma practitioner for many years. 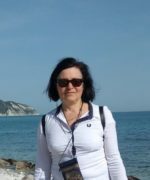 Flaminia Morandi spent the first part of her life working on communication and show business; in the second part she studied theology and spirituality in Eastern Christianity, the closest to a Christian primitive essence. She published various books, including biographies of women and men of God. She leads christian meditation encounters. Sabina Moser. Philosophy and Theology graduate, teacher of Catholic Religion at Liceo Michelangiolo in Florence. She published “La fisica soprannaturale. Simone Weil e la scienza” (“Supernatural Physics. Simone Weil and science”); “Uno sguardo nuovo. Il problema del male in Etty Hillesum e Simone Weil” (“A new take. The problem of evil in Etty Hillesum and Simone Weil”) (with Beatrice Iacopini); “Il “credo” di Simone Weil” (“Simone Weil “beliefs”), and the anthological series “Simone Weil. L’attesa della verità” (“Simone Weil. Waiting for the truth”). Giacomella Orofino teaches Tibetan Language and Literature and IndoTibetan religions at Naples’ University “L’Orientale”. She is the author of many essays, translations, and scientific papers about Tibetan religious and literary history. She is one of the founders of A.S.I.A., an NGO working for the preservation of asiatic peoples’ historic and cultural heritage, and their identities, expecially Tibet and the Himalayans. She is President of the Center for buddhist studies at the “L’Orientale” University, which promotes a better knowledge of buddhist philosophy, art and literature in an interdisciplinary context. Her most recent works are: A Note on Two Theogonic Myths Found in a Bon Magic Ritual in Havnevik, H. and Ramble C. (eds), From Bhakti to Bon. Festschrift for Per Kværne. The Institute for Comparative Research in Human Culture Series B, vol. CLV. Oslo: Novus Press (2015) and “The Long Voyage of a Trickster Story from Ancient Greece to Tibet” in Jim Rheingans (ed.) Tibetan Literary Genres, Textes, and Text Types. From Genre Classification to Transformation. Brill, Leiden, Boston (2015). Frank Ostaseski, is a visionary and internationally known buddhist teacher; he is the founder of Metta Institute and cofounder or Zen Hospice Project, the first buddhist hospice in the USA. 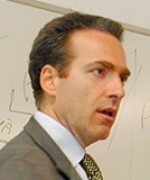 Former guest lecturer at Harvard Medical School, Mayo Clinic and Wisdom 2.0, he is currently lecturing in a number of major spiritual centers around the world. He helped spreading a tested model of compassion and awareness caring; trained hundreds of clinical practitioners, and helped more than one thousand people in dealing with their dying process. His pioneering work has been featured on the Bill Moyers “On Our Own Terms” series, and on the “Oprah Winfrey Show”, as well as being praised by His Holiness the Dalai Lama. 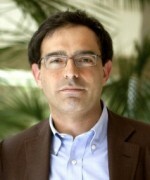 He received in 2018 the prestigious Humanities Award from the American Academy of Hospice and Palliative Medicine. His book “Sapere Accompagnare” (Arnoldo Mondadori) has received a very positive feedback in Italy. He also published “L’apertura dell’amore” (“Love’s opening”), as part of the A.Me.Co. booklets series. His last book is: Cinque Inviti. Come la morte può insegnarci a vivere pienamente (Arnoldo Mondadori: may 2017. Original title: “The Five Invitations: Discovering What Death Can Teach Us About Living Fully”). Andrea Schnoeller is a Capuchin monk. He periodically hosts meditation courses in the Madonna del Sasso Sanctuary over Locarno (Canton Ticino), where he also lives. 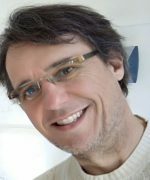 He is the author of many publications about the inner path, and he’s been organizing various meditative research groups in Ticino and in Italy. He actively supports dialogue between Buddhism and Christianity. Francesco Sferra, student of Raniero Gnoli, Corrado Pensa and Raffaele Torella, has been teaching Sanskrit language and literature at “L’Orientale” University in Naples since 1998. 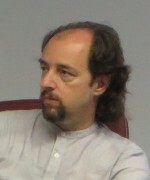 In 2007 and 2011-2012 he was visiting professor (Numata-Professor für Buddhismuskunde) at the Asia-Africa-Institute (Hamburg Universität). He has been directing an international research project since 2006 aimed at a critical edition and the study of unpublished buddhist texts. Among his main publications, the english translation of Sadangayoga dal Anupamaraksita, commented by Raviśrījñāna (Rome 2000), and the critical edition of the sanskrit Paramārthasamgraha by Nāropā (Roma 2006). Translator from Sanskrit and pāli for A. Mondadori Editore series “I Meridiani. Classici dello spirito” (Milano 2001, 2004) for which he edited a volume around ancient Hinduism (2010). He is a Vipassanā practitioner, and A.Me.Co member since its foundation.